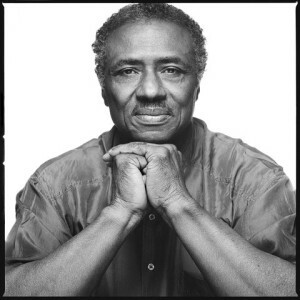 Black Panther Party political prisoner Herman Bell was viciously assaulted by guards at Great Meadow Correctional Facility (Comstock) on September 5, 2017. While being “escorted” by a guard back to his h ousing unit, a guard struck Herman, age 69, in the face causing his glasses to drop to the floor. He pushed Herman against the wall, Herman stumbled and fell to the ground. The guard then continued viciously hitting and kicking Herman. Very soon about 5 other guards arrived and joined in the violent attack, hitting and kicking Herman all over his body. He was also maced in the eye and face. One of the guards kneed Herman in the chest causing two cracked ribs. At one point, one of the guards took Herman’s head and slammed it very hard into the pavement three times. Herman said when this happened he thought he was at the end of his life. Herman was put in an isolation unit and left there alone for hours, with no care or place to lay down. Herman was then taken to the prison infirmary. X-rays have confirmed that he has fractured ribs. Herman’s left eye is damaged from the mace and blows. He has bruises to his body and is suffering headaches, a possible sign of a concussion. He showed the doctor his hands and wanted the doctor to make note of the fact that he had no cuts, abrasions, or bruises on his hands that indicate he struck no one. Herman Bell has now been charged with “assault on staff.” Defying common sense, they allege that Herman, for no apparent reason, slapped the guard escorting him. He did this, they claim, in a location out of the view of all inmates but in the presence of other guards. He is now in the Special Housing Unit (box) at Five Points Correctional Facility where he was transferred after the incident. Herman Bell has not had a disciplinary violation in over 20 years. He had been scheduled to begin a three day family visit with his wife a few days after the incident, their first such visit in over 2 1/2 years. In addition he is to appear before the parole board, for the 8th time, in February 2018. The vicious and unprovoked attack by Comstock prison guards on Herman Bell is not only flagrant staff abuse but egregious elder abuse. We demand that Acting DOCCS Director Anthony Annucci regain control of his lawless staff members. He can set an example that such criminal staff misconduct will not be tolerated by dismissing the bogus charge of staff assault brought against Herman. Both Mr Annucci and Governor Cuomo must ensure that they will protect the lives of all prisoners. At this time, we are encouraging everyone to take the time to write to Herman or send him a get-well card, so that the authorities know we are concerned for Herman. Further requests for actions of support will be posted soon.